Just regular folks. : Color run! Vince and I ran a 5K today called the color run. 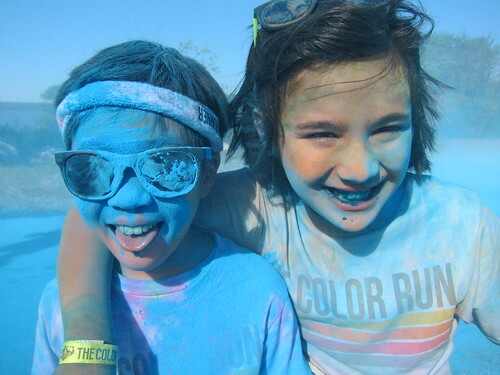 Every mile they throw colored corn starch at you until you become a rainbow colored being. The people at the blue station really looked like Smurfs.